We've said it before and we'll say it again: although eccentric, personal style is totally in, minimalism still is as well. When done right, of course. "Less is more," may be an old cliche saying but when simple styles are done correctly, they can make more of a statement than the boldest and loudest of ensembles. 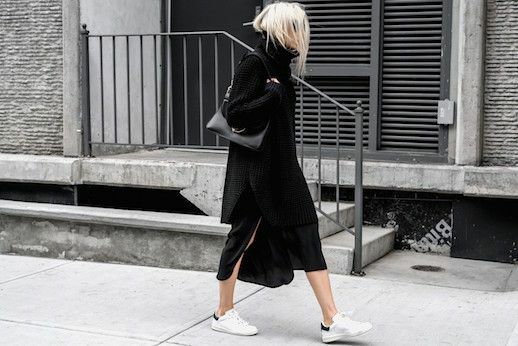 This minimalist fashion blogger made an impact in just a roll neck jumper, side-slit skirt, and white sneakers.